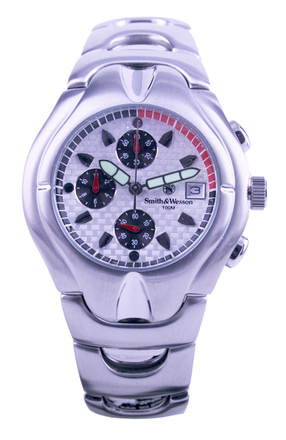 Includes: Smith & Wesson SWW-01-SLV Chronograph Watch Stainless Steel Silver Dial. Smith & Wesson SWW-01-SLV Chronograph Watch Stainless Steel Silver Dial. Water Resistant to 100 meters/300 ft.